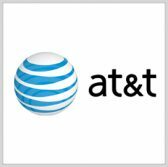 AT&T has launched an internet protocol-based, open standard connectivity service that seeks to facilitate interoperability for land mobile radio systems used as communication tools by first responders, public departments and transportation agencies. AT&T’s Inter-RF Subsystem Interface complies with the APCO Project 25 connectivity standard for public safety networks and is designed to help users link their LMR devices to the company’s Enhanced Push-to-Talk platform to speed up communications, the company said Monday. The company launched the ISSI service months after it introduced the Console Subsystem Interface that works to connect dispatch console tools. The ISSI platform also integrates AT&T’s Dynamic Traffic Management system designed to prioritize network access and calls based on quality-of-service network platforms. AT&T said it has started to pilot the ISSI service in Richardson, Texas.